ketubah4less : 12.5" x 15.25"
Standard : 18" x 22"
This one line from the Song of Songs has gained a special significance in the Jewish marriage tradition, almost more than any other phrase. 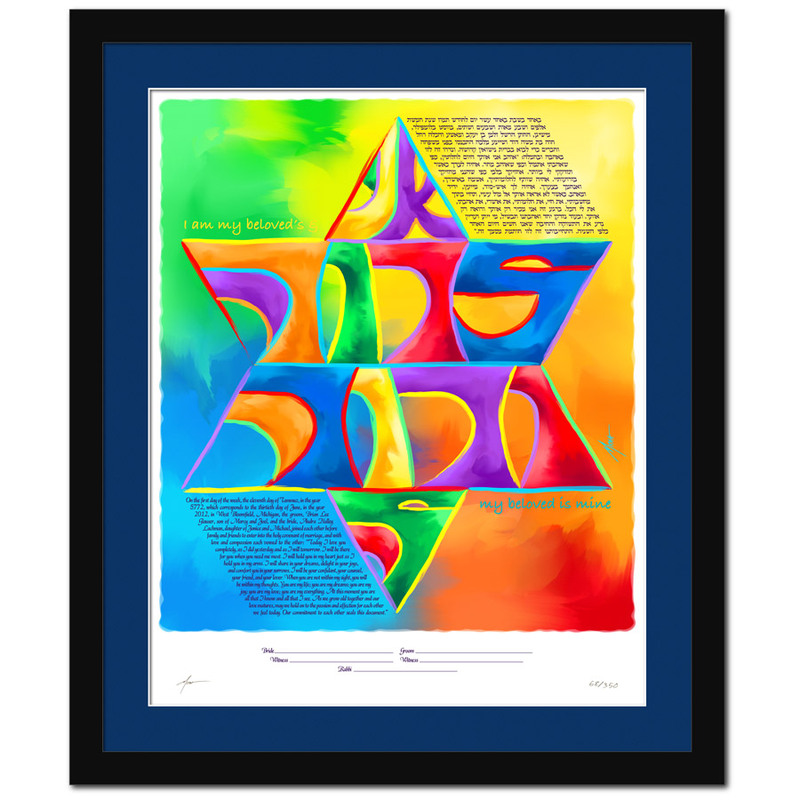 It is one Hebrew saying that couples come to know well as their wedding day approaches -- even among those Jews who stopped reading Hebrew the day after their bar or bat mitzvah celebrations. 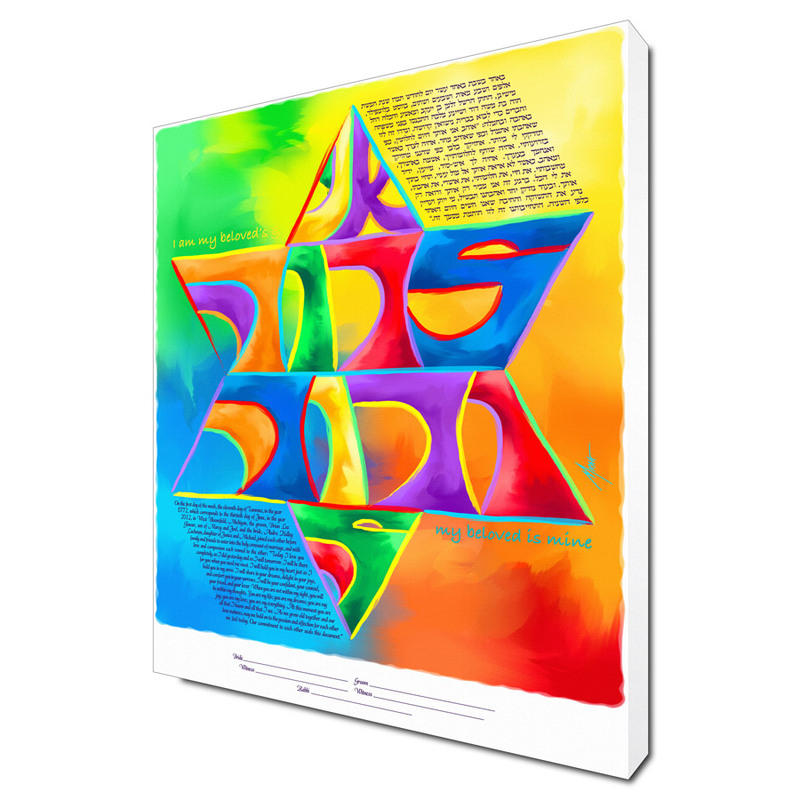 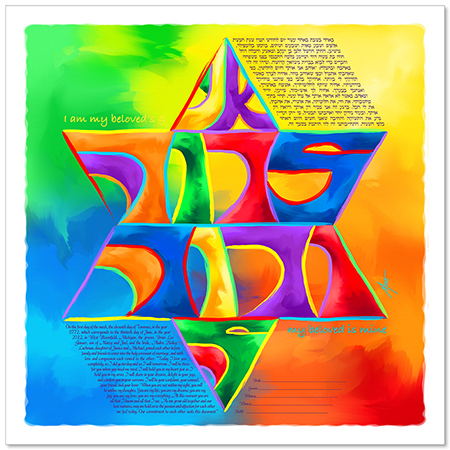 It is an oh-so-familiar phrase, and this piece presents it in a fun, colorful, vibrant and stylistic way, while tying it to its Jewish origins: using the Hebrew letters to create a unique representation of the Star of David.